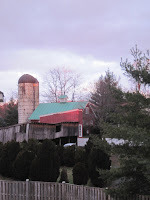 It's looking like a beautiful January morning here in Leesburg, Virginia! 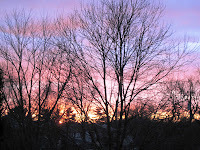 Check out these photos taken from my deck this morning. Today's not anything all that special.... but there's something to celebrate EVERY day, don't you think? If you need an excuse, just look around. Is there a beautiful sunrise today? Who needs more of a reason than that? If you do, Google "Wacky Holidays" and find a calendar that will give you an excuse. I learned that today, January 26th, is "Spouse's Day". Did you know that? So, plan a candlelight dinner, bring home flowers, special treats or a nice bottle of wine....we'll call it pre-meditated spontaneity!